– Have one person read the directions and ring a bell at the beginning of the exercise. – End with a moment of silence, then ring the bell to complete the exercise. 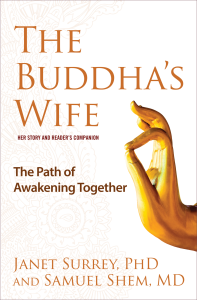 Learn many more meditation practices in the book, The Buddha’s Wife.